As metropolitan cities continue to grow, the skies could be the next area targeted by urban transportation. In November of 2018, Roland Berger and the Aviary Project conducted a study called “Urban Air Mobility – The rise of a new mode of transportation”. The study focuses on the possibility of ‘air taxis’ and other sorts of drone services spreading into the commercial industry, and goes into various options and obstacles facing that path. 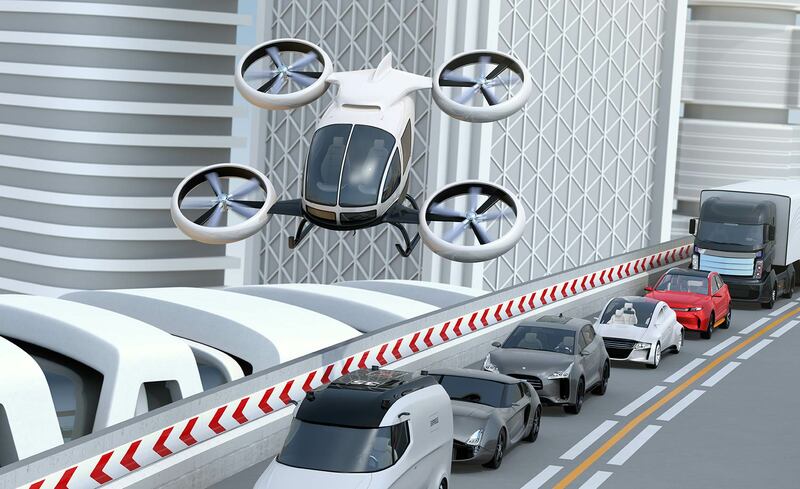 Roland Berger’s study goes into how urban air mobility might be able to mitigate traffic and cheap transportation if implemented successfully. To circumvent the increasingly inefficient method of accommodating urban travel through a 2D expansion of cities, taking to the air might be a more viable solution. 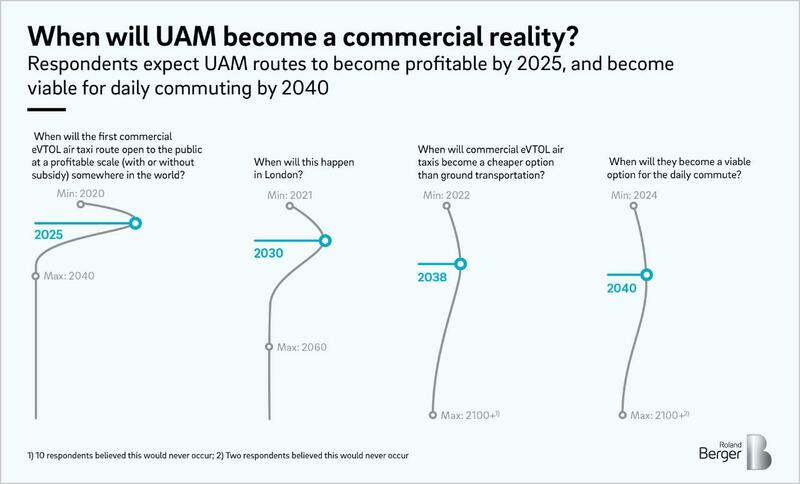 The study indicates that by 2025, the first commercial and profitable eVTOL air taxi route would open. 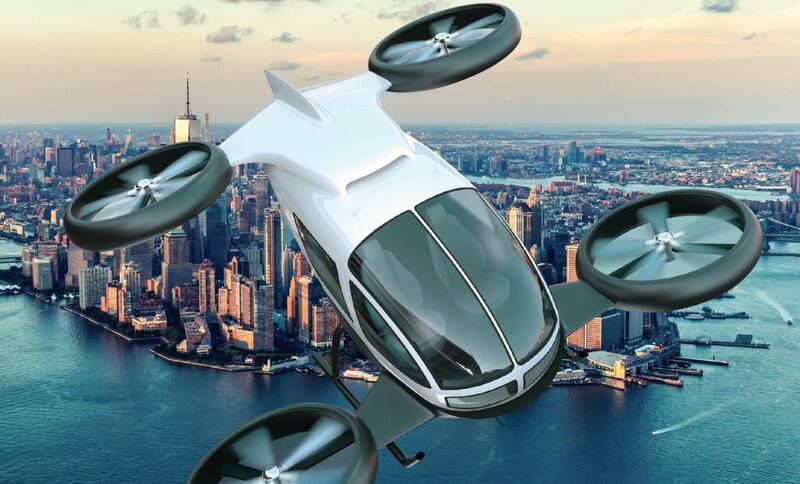 Cities like Dubai, Singapore, Los Angeles and Dallas are already scheduled for experimental pilot projects by the early 2020s, with predicted improvements in design, battery life, and autonomous flight technology for these air taxis by the late 2020s. 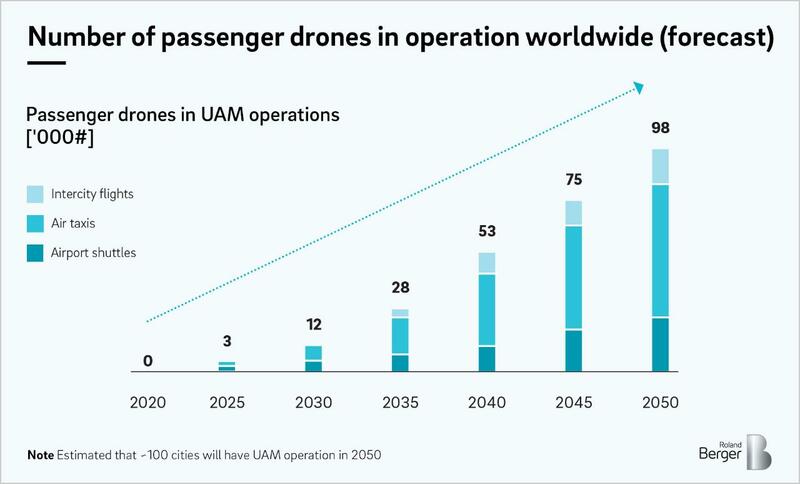 By 2050, the Roland Berger study predicts that around 100,000 passenger drones will be in service all across the world. There are a few obstacles facing this airborne future, however. The actual design of the aircraft is one of the topics of debate. While aircraft designs like multi- and quadrocopters, tilt-wingers, hybrid designs, electrical vertical take-off and landing (eVTOL) aircrafts are more suitable for urban operations where the capability for tight turns is needed, fast flying vertical starters which are more like a conventional jet aircraft are ideal for use between longer distances. Another issue is the infrastructure needed to implement such a service. eVTOL landing sites, charging infrastructures and maintenance facilities would all be needed for a successful business model, not to mention that any landing site would also have to be approved by the appropriate government. Additionally, a strong 5G cellular network would be essential, in order to enable communication among eVTOL aircraft, other flying aircraft, and between the control centers on the ground. On average, respondents held that eVTOLs would reach cost parity by 2038, and become viable for daily commuting by 2040. The solution to overcoming these obstacles is communication, according to Roland Berger. “Manufacturers, operators, infrastructure providers and regulatory authorities need to develop a kind of urban air mobility eco-system, as ‘going it alone’ will not be an option for any of the players.” But if successful, the first ‘partnership’ to make it all happen will be the forerunner of the birth of a sensational new market, and a huge advance for the air transportation industry. According to the study, “the winners in this exciting new market will be the ones who approach its complex, interdisciplinary needs in close collaboration”. Why it’s important: Economically, the study conducted by Roland Berger and the Aviary Project represents the potential opportunity to open a lucrative new market. Technologically, the future implementation of airborne taxi services represents a revolutionary development in the transportation industry.